The Royal Aircraft Factory S.E.5 was a British biplane fighter aircraft of the First World War. It was developed by the Royal Aircraft Factory by a team consisting of Henry Folland, John Kenworthy and Major Frank Goodden. It was one of the fastest aircraft of the war, while being both stable and relatively manoeuvrable. According to aviation author Robert Jackson, the S.E.5 was: “the nimble fighter that has since been described as the ‘Spitfire of World War One'”. The S.E.5 was capable of superior overall performance than the rival Sopwith Camel, both aircraft being capable dogfighters of the era; however, problems with its Hispano-Suiza engine, particularly the geared-output H-S 8B-powered early versions, meant that there was a chronic shortage of S.E.5s until well into 1918. Thus, while the first examples had reached the Western Front before the Camel, there were fewer squadrons equipped with the S.E.5 than with the Sopwith fighter. Together with the Camel, the S.E.5 was instrumental in regaining allied air superiority in mid-1917 and maintaining it for the rest of the war, ensuring there was no repetition of “Bloody April” 1917 when losses in the Royal Flying Corps were much heavier than in the Luftstreitkräfte. The S.E.5s remained in RAF service for some time following the Armistice that ended the conflict, but began to be withdrawn soon afterwards. Quantities of ex-RAF aircraft were transferred to various overseas military operators, a number were also adopted by civilian operators..
(14 August 1896 – 7 May 1917) was an English fighter pilot during the First World War. 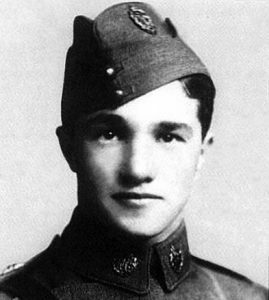 At the time of his death he was the United Kingdom’s leading flying ace, with 44 victories, and remained its fourth-highest scorer behind Edward Mannock, James McCudden, and George McElroy. Born and raised in Nottingham, Ball joined the Sherwood Foresters at the outbreak of the First World War and was commissioned as a second lieutenant in October 1914. He transferred to the Royal Flying Corps (RFC) the following year, and gained his pilot’s wings on 26 January 1916. Joining No. 13 Squadron RFC in France, he flew reconnaissance missions before being posted in May to No. 11 Squadron, a fighter unit. From then until his return to England on leave in October, he accrued many aerial victories, earning two Distinguished Service Orders and the Military Cross. He was the first ace to become a British national hero.